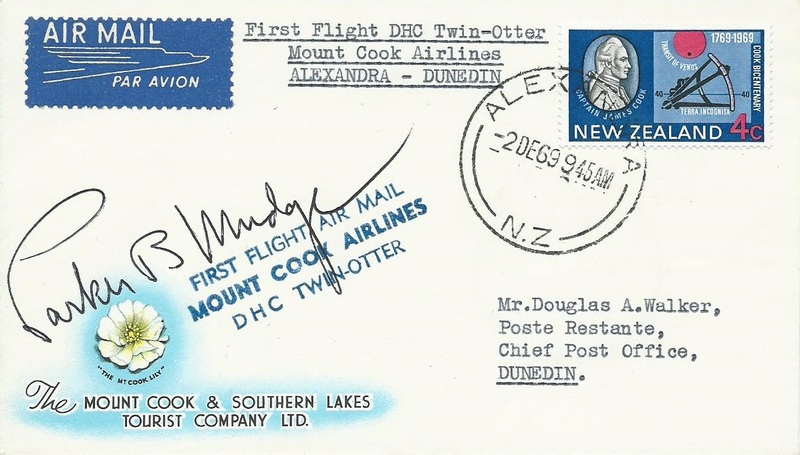 Mount Cook Airlines started scheduled air services from Christchurch to Mount Cook and Cromwell on the 1st of November 1961 with Douglas DC-3 ZK-BKD flying the first service. At this stage Queenstown was not certified for DC-3 operations and passengers were bussed from Cromwell to Queenstown. On the 1st of November 1963 the service to Cromwell was extended to Dunedin on Mondays, Wednesdays and Fridays and from the 3rd of November 1963 to Invercargill three days a week. The first scheduled flight into Queenstown was operated by DC-3 ZK-BKD on the 4th of February 1964. 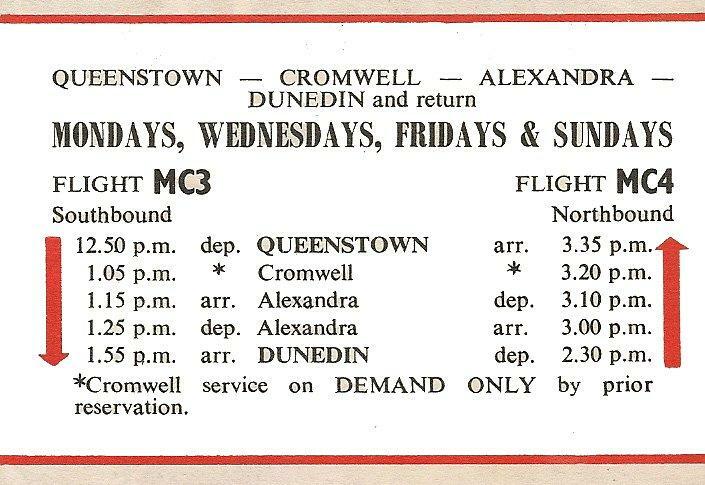 From this point the Queenstown to Dunedin service stopped at Cromwell only on demand. 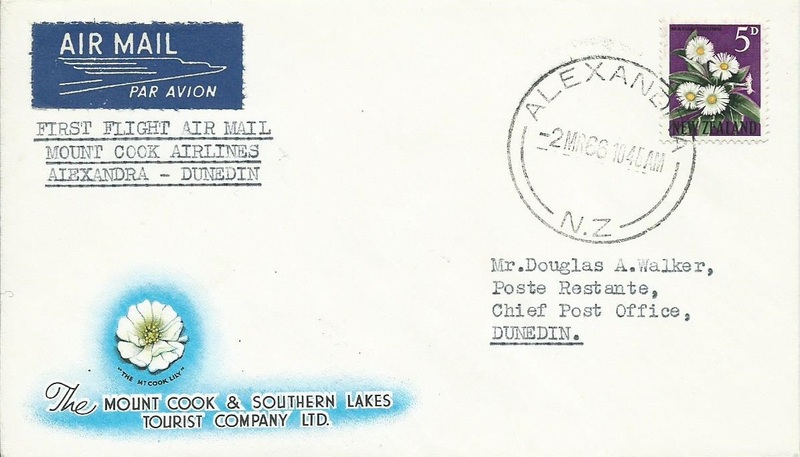 With the closure of SPANZ on the 28th of February 1966 Mount Cook Airlines added Alexandra as a stop on Queenstown to Dunedin service. 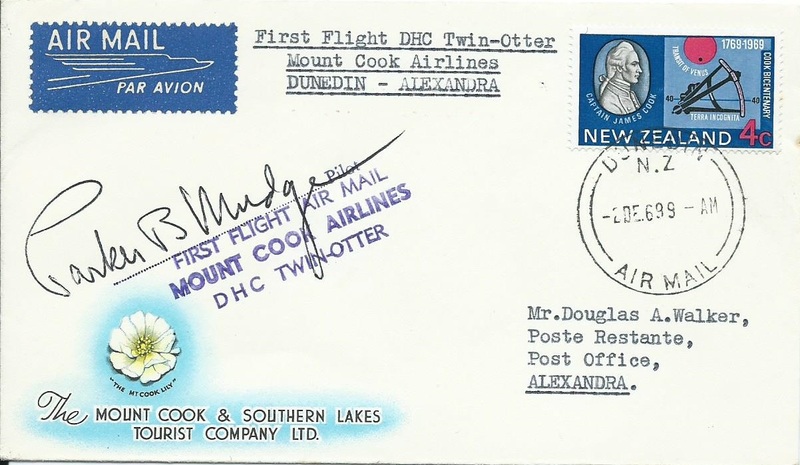 The first flight was flown on the 2nd of March 1966. With the addition of Alexandra the service was increased to four times a week with the service operated on Mondays, Wednesdays Fridays and Sundays. 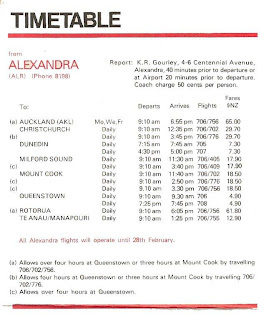 Mount Cook Airlines’ new service enabled Alexandra passengers to connect to and from NAC at Dunedin or passengers could fly all the way to or from Christchurch on Mount Cook Airlines via Queenstown and Mount Cook. In the late 1960s Mount Cook Airlines introduced turbo prop Hawker Siddeley 748s and a de Havilland Canada DHC-6 Twin Otter to its fleet. 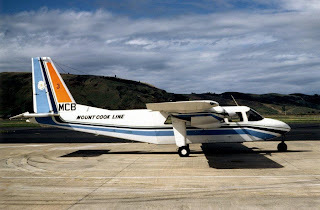 The 18-seatTwin Otter, ZK-CJZ (c/n 259), was used for scenic flights between Queenstown and Milford Sound as well as on the scheduled Queenstown to Te Anau and Queenstown-Alexandra-Dunedin routes. It entered service on the 2 December 1969. With the introduction of the Twin Otter the flight frequency for the summer season moved to daily flights with four flights a week offered over the winter months. 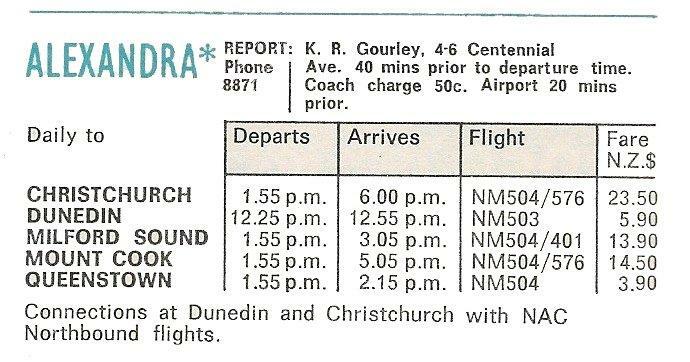 The Twin Otter, New Zealand’s first commuter turboprop, didn’t prove to be economical and it was cancelled from the New Zealand register on the 24th of September 1973. 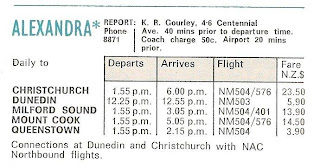 Replacing the Twin Otter on the Queenstown-Alexandra-Dunedin flights were 9-seat Britten Norman Islanders. With the introduction of the smaller Islanders, which were a lot cheaper to operate, the decision was made to operate an all-year-around daily service with the frequency increased to two flights a day over the peak summer period throughout the 1970s. In the early 1980s the Saturday service was dropped leaving six days a week. With Ansett New Zealand’s introduction of BAe 146s to the New Zealand domestic scene aviation in New Zealand changed dramatically. 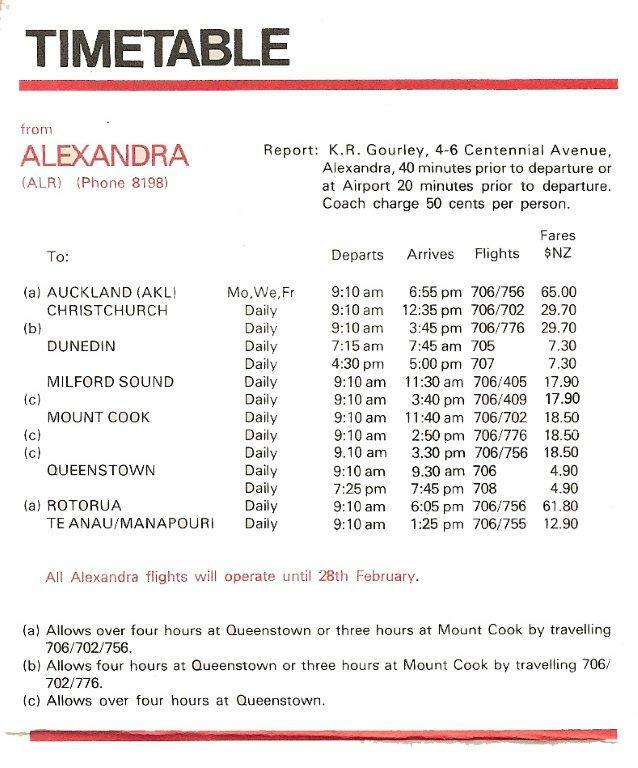 Demand for the Queenstown-Alexandra-Dunedin service fell as people drove to either Dunedin or Queenstown to get cheap fares rather than pay the more expensive fares offered on flights through Alexandra. With the Islander service being no longer economically viable and the service ended on the 1st of July 1991. 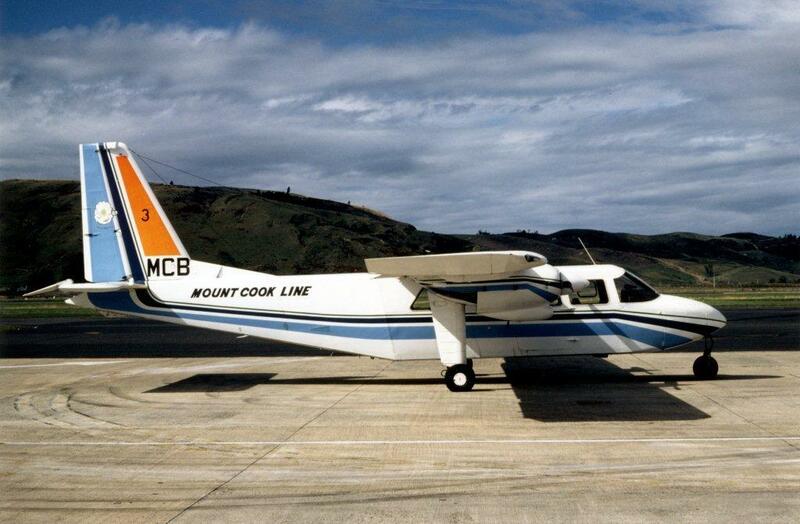 BN Islander ZK-MCB at Dunedin in 1980. Photographer unknown. 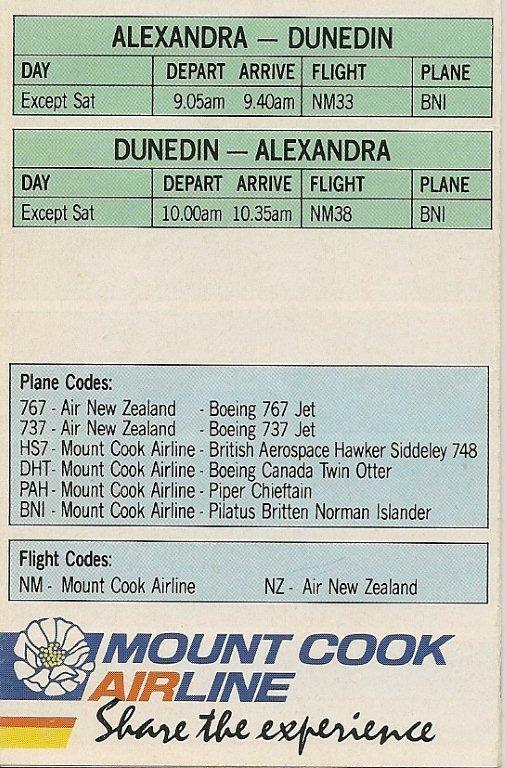 The following year Mount Cook Airlines returned to Alexandra with winter evening Hawker Siddeley 748 flights from Christchurch to Alexandra after the installation of runway lights. 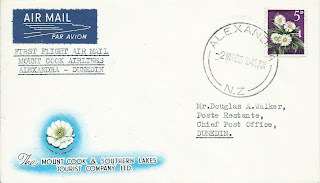 This enabled a same-day Australia-Queenstown trip for skiers who, upon arrival at Christchurch could fly to Alexandra and then be bussed through the gorge to Queenstown. The 748s had not been total strangers to Alexandra. 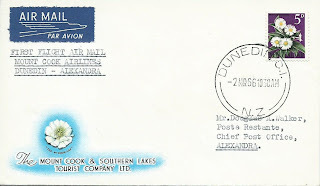 They often had to let down on the Alexandra NDB and fly visually through the Kawerau Gorge to Queenstown or, if the weather was such that they could not do that, they would divert to Alexandra. 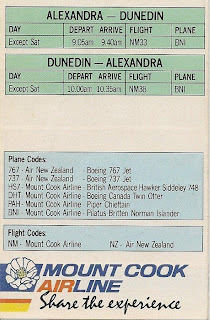 During the 25 years Mount Cook Airlines operated through Alexandra four operators had tried, largely unsuccessfully, to operate scheduled services through the town. 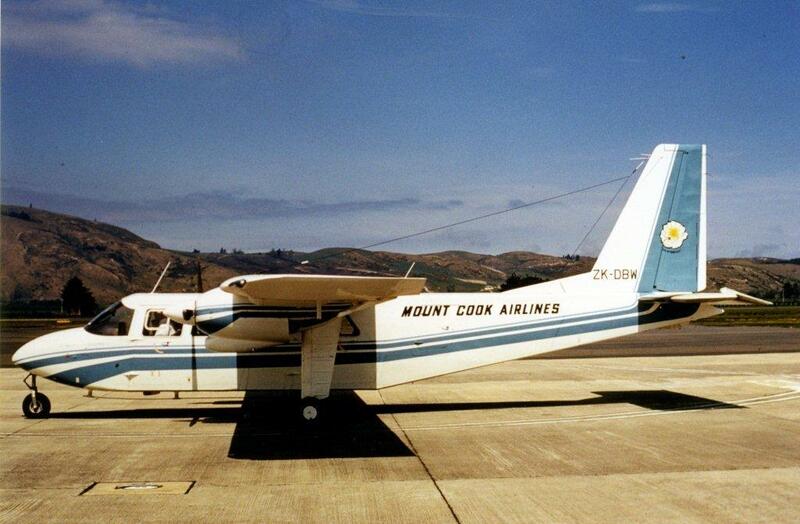 Sadly Mount Cook Airlines’ air service was to join their being unsuccessful. Air NZ Boeing 787-9 rolls out! Real Tonga's MA60 - What is the Real Story?